Does Bartlett have an educational requirement? Yes. A high school diploma or general education diploma is required. Additional points are awarded to you final score based on the type of college degree you have. Does Bartlett have a residency requirement? No. Bartlett police officers are allowed to live anywhere. The more important point is getting to work on time and ready to start your shift. 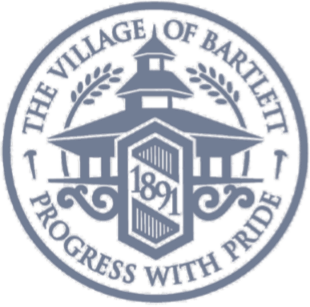 Does Bartlett have a restriction on tattoos or body piercings, etc.? Yes. Body piercing, other than ear piercing, must not be visible. Visible tattoos, intentional branding and/or scarring are prohibited and may not be covered with bandages, makeup or additional clothing while wearing a short-sleeved uniform. Restrictions are also in place for hair styles, facial hair, and any facial modifications that deviate from conventional anatomical features such as earlobe gauges, sub-dermal implants, tongue piercing, etc. Does Bartlett have a program for lateral transfers of certified officers? No, but you are encouraged to participate in the testing process and be placed on the eligibility list. As allowed by law, we can and have selected certified officers on the eligibility list to fill vacancies based on need. If I am a certified officer, do I start at a higher rate of pay? No. The starting salary applies to all new appointments. What do I need to provide when I apply?